Initial reports indicated that Update 1 would be available in March, but now it seems that it’s been pushed to April 8th. What changes will the new update bring? Join us after the jump to find out. 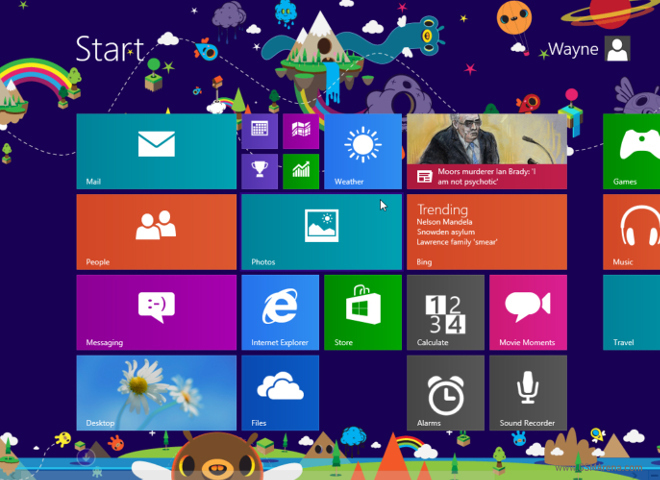 One of the first purported additions with the new update comes the ability to run Windows 8 applications on the desktop. Not many people are happy with the “tile heavy” approach Windows 8 has forced upon its users, and the fact that Microsoft is allowing us to work more within the familiar desktop framework is a welcome addition. It’s also rumored that booting straight into desktop mode will be available with the update, as well as the ability to pin Windows 8 applications to the taskbar. If these rumors all turn out to be true, it looks like the Microsoft team is taking a less aggressive approach with their new UI, and are listening to their user-base who liked the old Windows better. The April 8th release date for Update 1 makes sense because Microsoft’s //BUILD/ developer conference will run from April 2-4. There will be a lot of talk about Windows Phone 8.1 at the conference, but it does make sense for Microsoft to slide in some Xbox and Windows OS news during the conference as well. What do you think? Are you looking forward to updating your Windows 8 machine to give it more Windows 7 functionality?